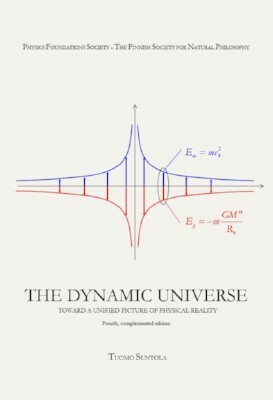 The Dynamic Universe theory is a holistic description of the observable physical reality. Like the Copernican revolution, the DU creates a system perspective allowing straightforward mathematics and a conceivable cosmological picture of the universe — and gives precise predictions to observables without dark energy or other artificial parameters. It is a unifying theory converting spacetime in variable coordinates into dynamic space in absolute coordinates. 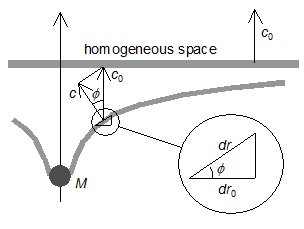 The Dynamic Universe theory relies on an overall zero-energy balance in space and the conservation of the total energy in interactions in space. Instead of the relativity of an object to the observer, relativity in DU space means relativity of local to the whole — relativity appears a measure of the locally available share of the total energy in space. The ultimate purpose of a scientific model is to make nature understandable. DU shows relativity in terms of local energy states saving time and distance as universal coordinate quantities essential for human comprehension. 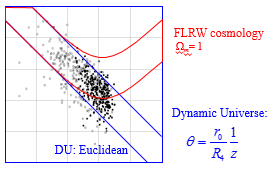 DU opens the essence of central physical quantities and produces precise cosmological predictions without adjustable parameters like the dark energy. The Dynamic Universe theory is a holistic description of the observable physical reality. 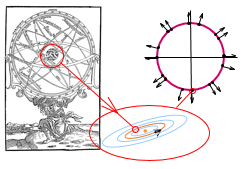 Like the Copernican revolution, the DU creates a system perspective allowing straightforward mathematics and a conceivable cosmological picture of the universe — and gives precise predictions to observables without dark energy or other artificial parameters. It is a unifying theory converting spacetime in variable coordinates into dynamic space in absolute coordinates. The book traces the development of the scientific picture of reality from antique to present day with special emphasis on the philosophical and theoretical choices made along the path. Also, the book studies the possibility of a re-evaluation the theoretical structures and the picture of reality with a closer connection between the philosophical and empirical aspects. 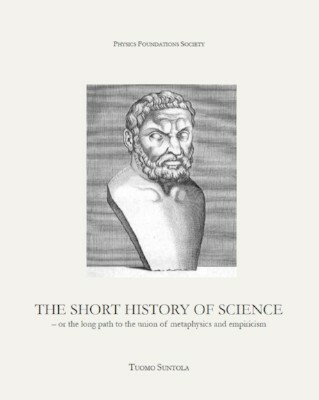 Short biographies of more than one hundred key scientists are included as well as numerous references and links to primary documents. Kirja jäljittää tieteellisen maailmankuvan kehityksen antiikista nykypäivään, keskittyen erityisesti filosofisiin ja teoreettisiin valintoihin, jotka matkan varrella on tehty. Kirjassa tarkastellaan myös mahdollisuutta teoriarakenteiden ja todellisuuskuvan uudelleenarviointiin filosofisia ja empiirisiä näkökulmia lähentäen. Kirjaan on sisällytetty yli sadan keskeisen tiedemiehen lyhyet elämäkerrat sekä lukuisia viitteitä ja linkkejä alkuperäiskirjoituksiin. The proceedings of the Workshop is now available as a Special Issue of the Italian periodical La Nuova Critica. The Finnish Society for Natural Philosophy, together with The Physics Foundations Society, arranged a two-day workshop on the theme Scientific models and a comprehensive picture of reality held on May 20-21, 2016 at the House of Science and Letters in Helsinki. The workshop brought together recognized philosophers, physicists and cosmologists to discuss the scientific models and the challenge of making nature understandable. The workshop called for novel aspects of unifying theories and discusses the postulates, testability and the philosophical criteria of the theories. Link to Workshop program and presentations. Link to Speaker Introductions. International Journal of Astrophysics and Space Science. 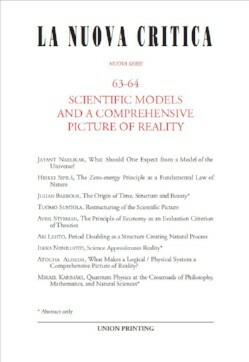 Special Issue: Quantum Vacuum, Fundamental Arena of the Universe: Models, Applications and Perspectives, Vol. 2, No. 6-1, 2014, pp. 66-85. doi: 10.11648/j.ijass.s.2014020601.18. Tuomo Suntola, Kvantin olemus ja massan aaltoluonne - havaintojen kuvaamisesta ilmiöiden kuvaamiseen. Teemailta Luonnonfilosofian seurassa 18.5.2017: Millaisen kuvan todellisuudesta kvanttimekaniikan tulkinnat antavat? Tuomo Suntola, Restructuring of the Scientific Picture, A Holistic Approach to Relativity, Cosmology and the Essence of a Quantum. Presentation in the Workshop Scientific Models and a Comprehensive Picture of Reality, Helsinki, May 20-21, 2016. Organized by The Finnish Society for Natural Philosophy and the Physics Foundations Society. Presentation slides (PowerPoint). Presentation in The Finnish Society for Natural Philosophy, March 4, 2014, Presentation slides Blackbody surface as antenna field. 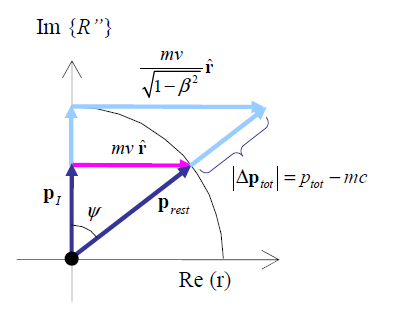 Antenna active area is related to the wavelength as Aλ=λ2/4π, with emission intensity to half-space as Iλ=1/Aλ =2π /λ2, which is exactly the Rayleigh-Jeans formula applying when all antennas are activated by the thermal energy, kT>hf. When only a part of antennas are activated as described by the Maxwell-Bolzmann distribution of the thermal energy, kT << hf, the emission intensity follows Wilhelm Wien’s radiation law. 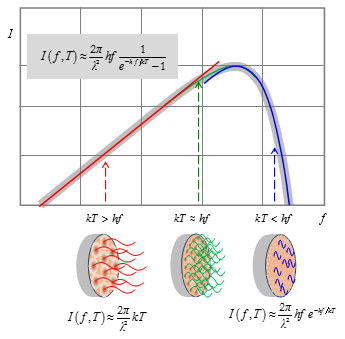 Max Planck’s radiation law combines the two and covers also the transition region where kT ≈ hf. The Finnish Society for Natural Philosophy - 25th Anniversary Symposium, November 11, 2013. 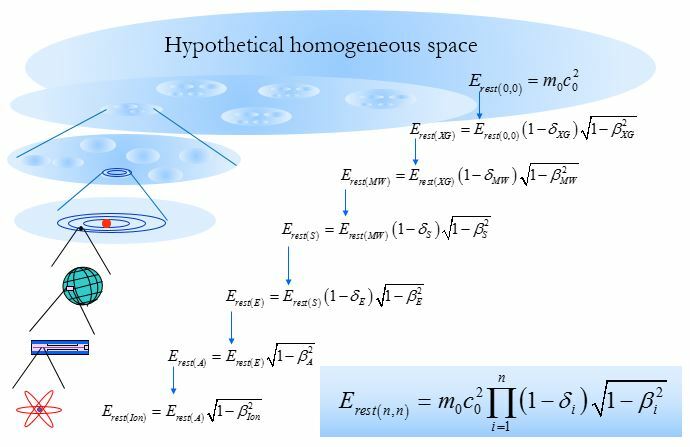 Full PDF Paper Planck equation is obtained from Maxwell's equations by solving the energy enitted into a cycle of radiation by a single transition of an elementarey charge. 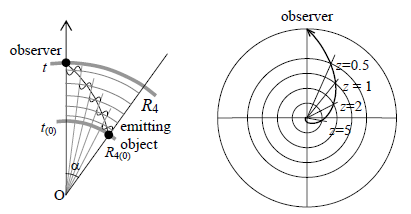 A point source is studied as one-wavelength antenna in the fourth dimension ( L = λ = cdt ). FQXi Essay Contest in 2012, Full PDF Paper How do we start composing a jigsaw puzzle? It is certainly helpful if we see the picture of the puzzle when fully composed. In the big puzzle of physics, we are about to fit the highly tuned parts together to see whether they match, and what the total picture looks like – have we created a monster or a beauty, or something in between? The Finnish Society for Natural Philosophy, Seminar "Natural philosophy and the philosophy of sciences, Models in physics and cosmology", Helsinki, Tieteiden talo 27-28.9.2010. Presentation slides ppsx Relativity in the DU is not relativity between an object and the observer, but relativity between local and the whole - it shows the energy available in a local state of motion and gravitation. Clocks in motion or close to a mass center loose time because they have bound part of their energy in motion and local gravitation. Mathematics, Physics and Philosophy In the Interpretations of Relativity Theory, Budapest 4-6 September 2009. NPA Conference, Storrs, University of Connecticut, May 25-29, 2009, Full text pdf Supplement: The derivation of the cosmological predictions, Appendix 1. Physical Interpretations of Relativity Theory, PIRT XI, London 12-15.9.2008. PIRT-X, "Physical Interpretations of Relativity Theory X", London, September 8-11, 2006. 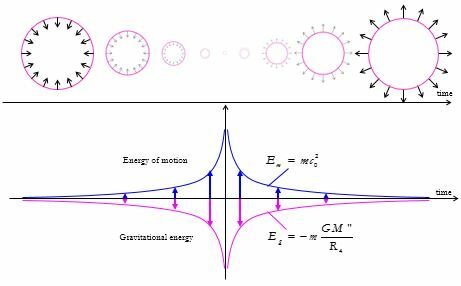 Planck equation is solved as the energy emitted into a cycle of radiation by a single unit charge transition in a one wavelength dipole. Recent observations on the redshift and magnitude of distant supernovae have raised fundamental questions of the cosmological structure and the development of space. 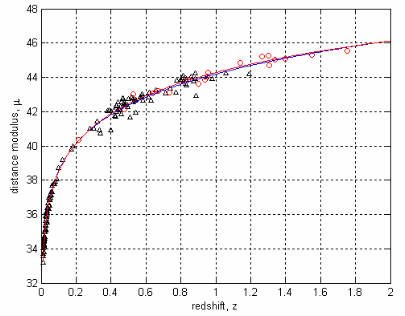 Interpretation of the observations with the standard cosmology model suggests accelerating expansion of space which requires an assumption of unknown dark energy working against gravitation at cosmological distances. 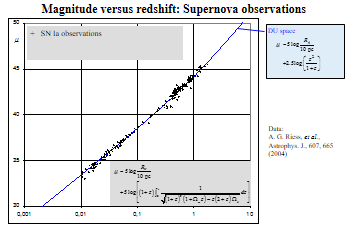 This paper presents an analysis which shows that the observed magnitude redshift relationship is in an excellent agreement with the prediction derived by assuming a zero energy balance of motion and gravitation in an expanding 4-sphere. Such an approach can be regarded as Einstein-deSitter expansion in the fourth dimension, suggesting a decelerating expansion velocity until zero in infinity. PIRT-IX, Physical Interpretations of Relativity Theory IX, London, September 3-9, 2004. Colloquium "Human Approaches to the Universe" in University of Helsinki, Finland September 26-27, 2003. 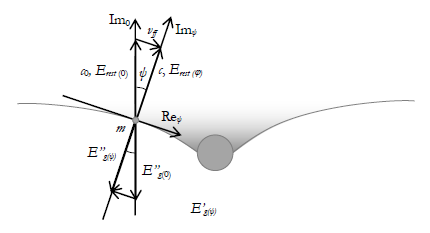 Galilean Electrodynamics, 14, No.4 (2003) Full text (pdf). 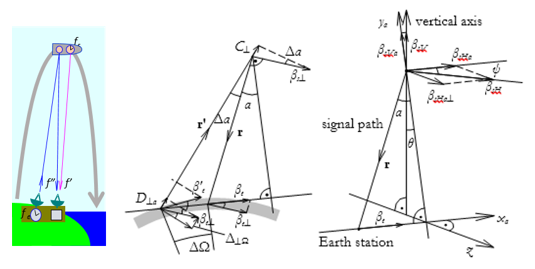 A detailed analysis of the gravity probe Scout D experiment confirms the GR/DU prediction for both the gravitational and velocity terms of the frequency shift (instead of SR velocity shift reported in Phys. Rev. Letters, 45, 26 (1980) 2081). Apeiron, Vol. 8, No. 3 (July 2001) Full text pdf The perihelion shift in DU space conserves the orbital radius. 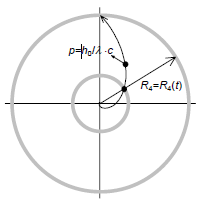 It does not create a cumulative term to the radius like the Schwarzschild solution of general relativity. Apeiron, Vol. 8, No. 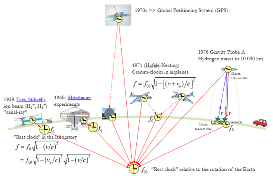 3 (July 2001) Full text pdf We can choose between the constant velocity of light and time dilation (SR, GR) - or absolute time and a changing velocity of light (DU).